Caesars Entertainment spokesman Gary Thompson said the company wouldnt discuss assertions made by PokerStars or its lobbyists. A week ago, the Washington, D.C.-based American Gaming Association entered into the licensing debate for PokerStars and called the Isle of Man-based company a criminal enterprise for many years. Last summer, PokerStars accepted a $731 million forfeiture to the federal government, ending a 15-month legal battle with the U.S. Department of Justice. 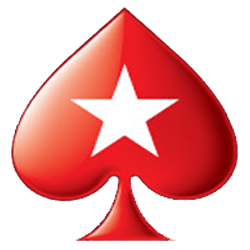 Three senior officers of PokerStars were charged in April 2011 with bank fraud, money laundering and running an illegal Internet gambling enterprise. The Justice Department absolved the company of any wrongdoing in accepting Internet wagers from American customers. PokerStars also wasnt prohibited from entering legal U.S. gaming markets. The American Gaming Association said in its brief that New Jersey should deny PokerStars a license because of its past transgressions. In response, PokerStars lawyers said the actions of the trade organization, whose members wish to eliminate competition for purely economic reasons, should be rejected. To permit the AGA to participate would undermine the licensing process, create administrative inefficiencies, and set a negative precedent for a competitor to dictate and influence whether a casino receives a license, attorneys for PokerStars wrote. Analysts said PokerStars is buying the casino to compete in New Jersey’s recently enacted online gaming market. The Rational Group is seeking interim casino authorization from New Jersey regulators to take over the Atlantic Club. The American Gaming Association wants permission to participate in the matter as part of the licensing process.